Located in the heart of Udaipur, The Byke Riddhi Inn offers travellers a budget stay in India’s very own ‘City of Lakes’. Aiming to hit the ‘best hotels in Udaipur’ mark, Riddhi Inn offers travels comfort as well a luxury with its elegantly done interiors and regal ambience. 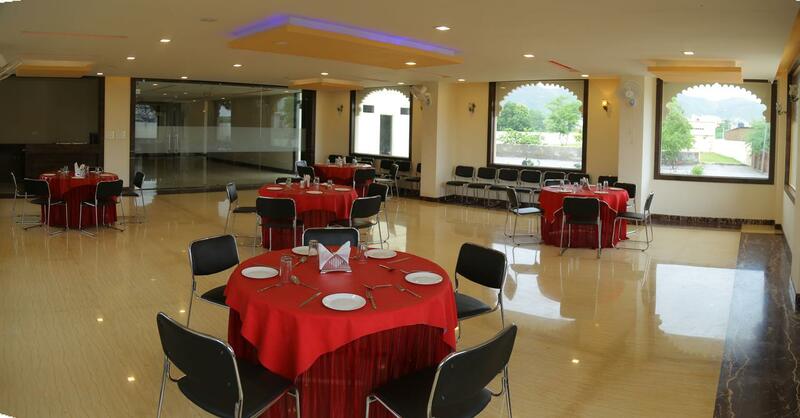 For a budget hotel in Udaipur, Riddhi Inn offers travellers a slew of facilities that accommodate modern amenities as well as satisfy the requirements of business meetings and wedding events. The hotel is equipped with 52 air-conditioned rooms, a huge lawn, and 1 conference hall among many other amenities. The ‘Farm Fresh’ Restaurant serves exclusive multi-cuisine pure veg delicacies. While you are there, you can take full advantage of recreational amenities like the large parking space, swimming pool, spa and a salon that will be opening shortly. Room Service, Recreation, Bar, Concierge, Internet/Wi-Fi, Express Check-In/Check-Out, Parking, Currency Exchange, Business Facilities, Doctor on Call. Safe Deposit Locker Facility, Air Conditioning Room, Attached Bathroom, Iron/Ironing Board, Daily Room Cleaning, Complimentary Toiletries, Smoking Rooms, Shoe Shine, House Keeping, Bottled Water in Room. User reviews for "The Byke Riddhi Inn Hotel Udaipur"